When a WJ user offers to help the club, a member of leadership team responds publicly to the offer and follows up privately with user to determine if help is required or not. Helps transparency and WJ +ve vibes going forward. Current offers on the table re: JRDC Website development ....... apologies if I've omitted anyone! Offering to help with the JRDC website as well. .... to document our former, current & future stars, used as lead in to SportsMax broadcasts and/or linked to Car & Driver profiles on website. Definite no-brainer. Remember WJ users exist in the "sweet spot" of motorsports info. Virtual Motorsports bubble. The wider fanbase is usually not privy to such resources / Vids. Let's keep focus on average fans to increase wider interest and crowd participation on raceday. DT & Teach, u both had Executive Producer credits in End-of-Year Race summaries. Over to you gentlemen. What those videos show more than anything else is the desperate need that exists for drivers to take marketing courses in order to better sell themselves to fans and advertisers. Its done for championship series entries elsewhere. Jamaica needs it. JRDC may need to run a Self-marketing / Promotion courses with Drivers to improve sponsorship levels. I would suggest raising the childrens age for free entry on your meet with lowest attandance...and lots more membership perks, to increase membership, hence revenue, manpower, lobby power, etc.. Same concept, as several small sponsors , if sold the right promotion package with lots of benifits for their brand recognition, could be convinced to do group marketing along with the clubs package. The goals must be specific in this area where a sustainable plan can be implemented continuously 12 months of the year. Yes help is needed but at dover the hype helps the other interviews. The support for the new initiative has been overwhelming. Props to Twilight for creating a dedicate thread for supporters to have a place to put their suggestions and ideas. No comments yet though from the people who have the power to put any of these ideas into effect. Do any of these ideas even have a hope of being utilized (to date they haven't even been acknowledged) or are we just pi..ing in the wind ? Maybe I am just too doubtful.... oh me of little faith. Certainly there is a dedicated someone within the ranks of the JRDC who is very carefully collating all of this precious brainstorming and has already contacted the volunteers , with a plan to implement whatever is feasible as soon as is possible. That being the case I can certainly understand why they have been too busy to post a response to this thread. LOL ... DT I am hanging on and hoping just a little bit longer. I am going to keep knocking ...somebody's got to be home. People that come and read under hidden can be said ppl you and me stoppa are hoping take a look . How about a dedicated " RACE PARTS FOR SALE /WANTED" thread in the Motor Sports section. It would be nice to be able to shop for or sell race specific items without having to weed through all the other stuff. Of course the minimum requirements would still apply. ............ Do any of these ideas even have a hope of being utilized (to date they haven't even been acknowledged) or are we just pi..ing in the wind ? ...... all this time I thought "it" was morning dew blowing in the wind @ the dawning of a new day on WJ. .... Just having some fun guys. +ve vibes still a gwan. I dont want to be the one to sound negative or anything guys, but whatever gave anyone on here the idea that there was a change a comin'? I mean, outside of offers to help and such, what exactly gave he impression of a new day dawning? Apart from hoping things will change into something more exciting, these WJ threads keep me entertained on the job and chatting to good people. I really feel that there was a change in how we as group of motorsport enthusiasts /competitors outside of the official organization felt about how we could collectively make a difference. I felt a positive vibe - still do - and I am going to ride that wave all the way to the end. I can already hear the sighs - "poor Stoppa..him soon learn"
Well an update from Team Texaco/ LueBoys. As everyone saw the car was a bit off last meet, we had a few minor problems. but we've come up with a plan to move forward. As for the meet itself- I made some suggestions in the Last Dover thread. I've already put a few things in place. Had a meeting with Chevron and they loved the idea of having the car on display at their stations. 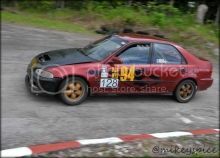 So My Texaco Civic race car 2 weeks prior to the event will go on display at Different TEXACO Stations around the island. I will be displaying the DATE on the car big and bold. Teach- i'll put someone onto you for the sale of tickets at their locations. for this meet, can make this a group effort. So can marketing ideas be shared and updated on the forum if possible? So lets say that you are planning on doing an article on Samantha Summerbell. Can you make mention that you are planning on doing one and then when it will run. I really am hoping for a more collective effort among everyone and i hope that we all do a little. It doesn't take money to assist the sport. Just ideas and us all chipping in. 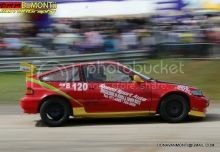 We as drivers have sponsors that support either the track or our cars. I'm Sure that our sponsors would love the additional exposure by us as drivers including them in different promotional events. Thanks Chiney_Dolly...................Re-posted from another thread, for easier collation of suggestions by JRDC team. We are reading everything here, have faith. @Teach ..... response appreciated. Hopefully some suggestions help to make 2014 a Banner year. @ Dean ... thanks for the inspirational video. Every time we are tempted to criticize, we should try to pray for the individual/situation. We don't know what the person/s is going through. Each of us is human and can and will fail, but it's not in the falling that we truly fail, but in the inability or refusal to learn from a fall. We all fall down. "and a saint is just a sinner that got up". The chairman isn't any less human than any of his many critics and is facing challenges in several areas even outside of motorsports, so I would suggest we allow the responsible persons the time to attend their responsibilities. I for one don't necessarily believe in such drastic measures as a vote of no confidence, and believe that elected/appointed individuals should serve out their tenure, regardless of the outcome. Nice idea but it all depends on if said person is willing to compromise , at the same time a club meeting needs to be called .like yesterday to much at stake that needs to be talked about , especial all these ideas given. 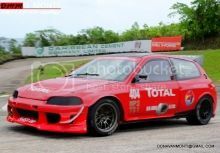 JRDC team should reach out to Ministry of Education & High School Principals to feature smaller local race teams & cars on Sports Day in respective parishes. Female drivers/cars paired with All-Girl schools for max effect when possible. to get kids fully engaged. Can anyone say which "model" is being used to operate club to stage the events... ie ..what are the long term and short, medium term goals? I ask, so suggestions could be tailored along those lines and try to help make them reality. Looking at some numbers and thought, I would really need to have an idea of what the goals are, to make realistic suggestions. Imho, my I suggest moving forward, think about this... what is the one thing the club needs to do to attract a major title sponsor, to cover all expenses, and fit the revenue generating model being used, or want to use?? etc, instantly creates upscale vendor area, reduces infrastructure development costs and immediately adds top notch brands to ur facility. Thought I'd throw another idea into the mix. Because of Race fans innate bias for one production car or another and the desire by some Racers for production spec series @ race meets to control costs, a possible way to evolve into this would be to using the existing stock of race cars to "condition" the fans for this type of racing. Have a manufacturer/Model specific race with "staggered start & mixed bracket" racing @ each race meet (JamWest / Dover)...... no points race at end of test & Tune to develop Saturday attendance (or part of Sunday program). and Race teams podium winners get parts credit from $$ponsor. If a popular series results, manufacturer reps eg Toyota (JA), Executive Motors, KIG etc may be pitched to get more involved. Logistics: ... If done @ end of Qualifying day there should be less reliability issues but also less fans. If done on RaceDay.... reliability, post raceday program, may result in not enough slated model specific entrants to satisfy the $ponsor & Fan$ & ...... the temptation would then be to just have another mixed racing event which occurred all day. Possible Solution: ..... First race on Raceday to get the fans excited & series drivers warmed up !!! IMO TS class races should be final bookmark ....... Question: What to do with the crossbreeds? That's similar to Chris Cambell's idea for a Handicap Race at the end of a race day. Nice twist on the idea. Just a bit of Brain Storming to keep the "Suggestion Box" active. Thank u 4 info TR. 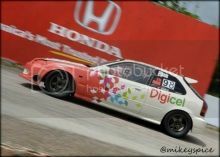 A series like spec mita would be nice , but the top racers might not want to parade their skills and be shown up by some likkle unknown driver lol dwl. The suggestion put forward by Chris Campbell to have a Handicap Race at the end of a race day definitely has merit. As he stated, this can be accomplished with standing starts at different sections of the track. A staggered start with the faster cars appropriately staged a calculated amount of distance/time behind the slower cars will be very entertaining for the spectators. We have had handicap races before, it being the last race for the day and attracted lots of cars on the grid. Spectators enjoyed it, so too were the competitors. Cars are gridded by their best times in standing start grid positions. Dean (DT) you should give this serious thoughts, it's one sure way to win spectators interest. 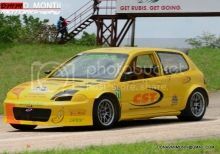 The chairman of the JRDC, Mr. Norman Minott, backed by the sitting executive, is committed to ensuring the proper sustainable development of Jamaica's circuit racing product that will see increased partnerships with advertisers, competitors, spectators, service providers, affiliate clubs and organisations and the public. Several meetings have been held to arrive at the most practical solution regarding the way forward as both the club and the nation face challenging situations. Work on the Dover venue has already started ahead of the October 21 race date. This will be a one day race meet. Monday, October 21, 2013. The timing loop antenna for the mylaps timing system has been acquired by the JRDC and will be installed before the end of this week and a test session conducted by Neil Williams of the JKA. As originally planned for the August meet, both the Kronos and the mylaps system will be run in tandem for this meet with approximately 20 competitors using the mylaps system. There are competitors who participate in karting or who have connections to karting competitors who own their own transponders and these will be used by them (Summerbell, Gore, Rae, Moodies), as well as there will be about 10 additional transponders to be used by select others. 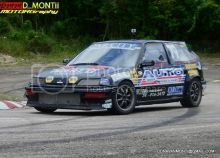 The club is planing on an aggressive marketing drive for the October meet as it seeks to partner with drivers and their sponsors in the promotion of the circuit racing product across the island, with a specific emphasis as suggested by club members of using the pertoleuom companies as centres for advertising, promotion and ticket selling. Kudos to all who worked to make this event a success and congratulations to all the participants. One way to ensure that the competitors are all brought up to speed is by having the most salient points in print and hand the drivers a copy when they are being scrutineered. I know this is out of the norm but probably significant enough to warrant a one time thing. What you are suggesting actually exists in principle if not always in practice: its called the Additional Supplementary Regulations or ASRs. It is usually published right here on wheelsjamaica weeks before the event, on the JRDC website and available at the JRDC office. It is usually posted on the 2 notice boards in the paddock area and is available at the drivers meeting before the event. The ASRs have all the pertinent information for each specific event, regulations, procedures and has the list of officials working that event. It also has the event schedule/programme, so one can follow the sequence of events for the day. I will publish the one for the upcomming meet and ensure that I walk everyone through its fine points right here on wheels. Yes sir you do just that now maybe people will understand the importance of the ASR . 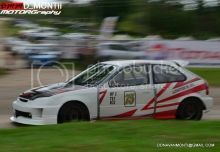 We have been staging properly organised circuit racing in Jamaica from 1971 to date and have been issuing ASR's ever since. However it would appear as though several drivers pay little attention to this very important document. May I therefore take this opportunity to request competitors to carefully read the ASR's and comply with the conditions therein. As Dean mentioned ASR's are issued at every drivers briefing meetings just prior to the event, one of the many good reasons why competitors should make every effort to be present at these meetings. I am suggesting to the JRDC that the container bridge should be inspected for structural integrity and some maintenance work done on same as i noticed quite a bit of wear and tear and corrosion build up. I also think a second bridge should be considered for exit only due to the amount of person using the current bridge at any one point. Di darn ting could break! I am rather surprise to hear that the new bridge (just a few years old) require repairs. Worse yet we need another bridge for spectators exit. Have you any idea the cost for a bridge. Can you imagine what David Summerbell and I went through to have the new bridge erected and it's related cost. Had it not been for minister Hon.Mike Henry financial help we might not have had a second bridge. When I read post like yours I have to wonder where some people come from and more importantly their technical training in construction. hence crying down the new bridge. May be a coat of paint would suffice, but that could be costly especially when funds are not available for such work. Does any one know how many times we have had to repair the :"Dunlop" bridge that is over 25 years old, ask the JRDC work horse David Summerbell and the writer of this message. Mr J. it is better to err on the side of caution - don't take it so personally. If he says that the bridge is showing signs of deterioration , at the very least take a better look at it to see it is compromised in any way. It has a direct line of sight to the ocean which is only a couple of miles away as the crow flies and salty air always speeds up the rusting process . Unless certain anti corrosion measures were taken the bridge should be showing significant rust having been in that environment for a number of years. Well put Stoppa. There should be no compromise when it comes on to safety and no need on harping on cost or what previous people did in the past. Have a technical team like an engineer, which would probably volunteer or even David himself take a look at all bolts and seams, and ensure the thing is in good condition. Look how many road bridges are built here in Jamaica and they collapse in less than a year or two. Imagine if the bridge were to fall while people were crossing it one race day? Don't be penny wise and pound foolish. Paint cant fix all. This will be my last post on any other topic other than my build. Hillary all of a sudden now that some one other than i has said how important the asr is you now change your thinking, in other topics when i pointed out that the asr was been used improper you had said other wise . Now it suits you to say differntly . Well ill not be pointing out the wrongs any more , or offering my ideas here on wj , ill just stick to my build , and let all that want to say what they want to. i too noticed it, along with the tower near the gullyside. Mr. J these things are exposed to the elements, stuff happens and its best to resolve before catastrophe strikes, theres alot of traffic at the end of race meets. Thank you for your responses to mine regarding the new bridge. I can see lost of thoughts went into your thinking and writing, I saloute you all for your interest being shown in the developement of circuit racing at Dover and wish others will take a page out of your books. A point I should make is that I frequently cross on the bridge each race day and while I have never looked for structural weaknesses nothing jumped out at me that was cause for concern,rust yes. However the idea of a professional do an inspection of the bridge is a good one, but before doing so I will together with David Summerbell and a technical friend carefully carry out an indept inspection and make recommendation to the JRDC's Executives. Thanks to EMorris for bringing it up in the first place .